Hi, I’m Phil and I’m a developer from South Wales. I have professional experience in designing, developing and managing creative web content across a variety of platforms. I am passionate about what I do and constantly strive to improve my skills and knowledge of this subject. I am currently looking for freelance work. I manage a private portfolio of clients and work with a group of friends on various digital projects. If you’re looking for a freelance developer or have any questions about projects I have been involved with get in touch via the contact form. Adam Sheedy: Phil is fantastic, the highest level of service is provided, resulting in an amazing website for ALS Trading Limited! Carisma Scale Adventure is a website that I recently produced for Carisma’s @rrci_madpete. Carisma RC are a group of professional hobbyist who are manufacture a innovative line of RC products. This website showcases Carisma’s newest line ‘Scale Adventure’ which includes the SCA-1E. Compare Driving is a driving school comparison website and the first of many projects I’ve worked on as part of Devs Assemble. The website aims to improve the entire process of finding and booking driving lessons by helping connect new learners with quality instructors in their local area. The service has currently been rolled out in Bristol, Bath, Cardiff, Newport and Swindon, and we’re continuing to develop the idea with new functionality being added to the site regularly. 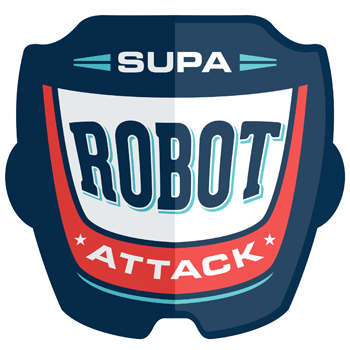 In 2013, I had the opportunity to work with Gadget Show host Jason Bradbury on Supa Robot Attack, a YouTube channel featuring short videos of robots battling it out in a variety of martial arts styles. Working closely with Jason and Julia Hardy, I was involved with all stages of the project – from idea generation and YouTube channel management to the more technical areas of programming individual robots and video editing on each episode. The series launched as part of YouTube’s GeekWeek in 2013. We later exhibited the robots at Gadget Show Live – Christmas 2013. You can watch episodes of the show here. Fightnight was a fighting games tournament series I ran between 2012-2013 in and around the Chepstow area. Our main lineup consisted of Street Fighter IV, Street Fighter Third Strike, Ultimate Marvel Vs Capcom 3 and Super Smash Brothers: Brawl, with other fighting games sometimes making an appearance. While we attracted a variety of players – from first-timers to seasoned competitors – Fightnight positioned itself as an entry level tournament that fed into larger events locally (Sodium Showdown and Proving Grounds). In 2013, we managed to secure sponsorship from Madcatz, as well as support from Capcom – which brought the largest turnout of the series! If you have any questions or would like to get in contact, fill out the form below and I’ll get back to you – thanks for your time!